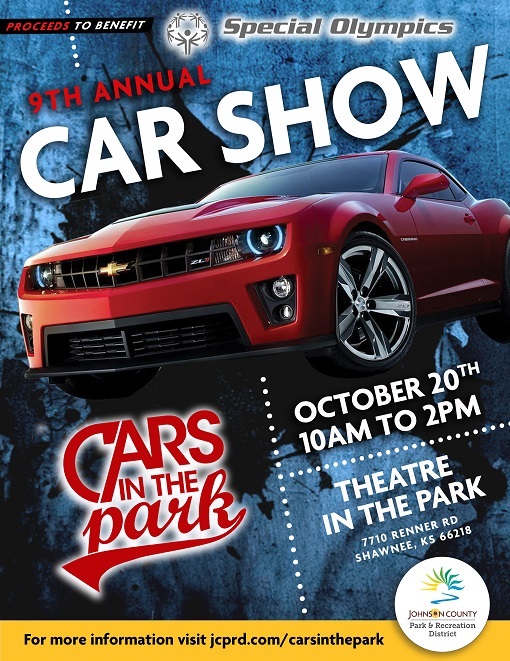 •	This event will be held on Saturday, October 20th, 2017 at the Theatre in the Park, 7710 Renner Road, Shawnee, KS 66218 from 10:00 a.m. – 2:00 p.m.
•	This is a free event for all spectators and money is raised by asking for a small entry fee for those who enter any make/model of car, truck, or motorcycle. •	Donations for raffle prizes to be given throughout the day. •	We are asking your organization to become a sponsor and/or donate any merchandise or gift certificates that we could use for this purpose.